Submitted by JesseT77 on November 22, 2010 - 3:35pm. Submitted by krupskikevin on November 22, 2010 - 10:17pm. And I for one welcome are comic robot overlords. Submitted by miasaki666 on November 22, 2010 - 7:15pm. Submitted by Rick-5tkh on November 24, 2010 - 5:12pm. at least ol johnny has input now. have fun you guys! OH NO he's on to me...! D: Thanks so much for the guest post, Tystar... 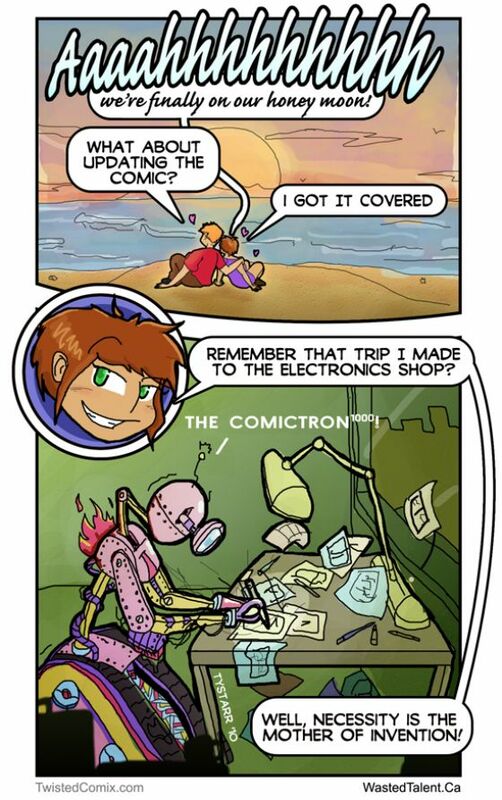 Check out TwistedComix!